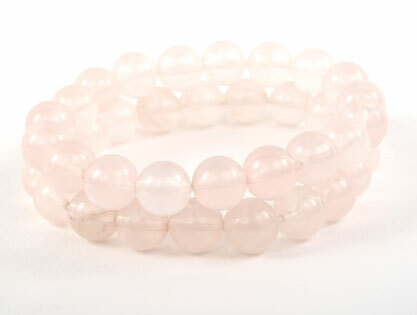 A Set of two bracelets made from Rose Quarz. This stone is a transluscent pink. Each bead measures 10mm. A distinctive piece. Elasticated to fit most wrists. There is a matching necklace to go with this bracelet.